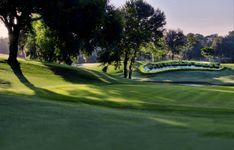 PALM HARBOR, January 21, 2013 – This year, Innisbrook, A Salamander Golf & Spa Resort, is offering guests the opportunity to rub shoulders with some of golf’s greatest players, and then follow in their footsteps by tackling one of the PGA TOUR’s toughest courses. The resort is offering a limited amount of Championship Challenge Packages from March 11-17 during the PGA TOUR Tampa Bay Championship, while Sunday night guests also have the chance to play the highly ranked Copperhead Course in tournament condition on March 18. Formerly the Transitions Championship, the tournament was won last year by then-World Number One Luke Donald in a playoff. The Copperhead Course is ranked among the top 10 favorite courses on tour by professionals and was designed by Larry Packard, who lives at Innisbrook and recently turned 100. Championship Challenge Package guests will enjoy an “inside the tournament” experience by staying in the same comfortable campus-style setting as players, officials and broadcasters, who can often be found during the evenings enjoying dinner at one of the resort’s restaurants. From an event spectator’s perspective, the Copperhead Course is within a short walk or a complimentary tram ride from all resort accommodations. In addition to staying in a spacious guest room or villa, the package also includes a round of golf per night of stay on the resort’s Island, North or South courses plus an extra bonus round, daily access to watch the tournament, full breakfast daily in Innisbrook’s restaurants, a $20 retail credit to be used in any golf shop, advance tee times at time of reservation, unlimited use of the practice facilities and Innisbrook’s new fitness center, a daily one hour golf clinic, club storage, locker room service and a welcome gift. Package rates start at $309 per person, per night, based on double occupancy. A two-night minimum stay is required; taxes and resort fee are not included, and certain restrictions may apply. There is an additional charge of $100 per person to play the Copperhead Course on the morning of March 18. A package excluding daily rounds of golf starts at $235 per night. For reservations call 866-277-4216, or for more information, visit www.innisbrookgolfresort.com. Operated by Salamander Hotels & Resorts, Innisbrook is situated on 900 wooded acres of rolling hills in the St. Petersburg/Clearwater area on Florida’s Gulf Coast, and is located just 25 minutes from Tampa International Airport. Recently and completely renovated, the resort features 72 holes of championship golf, 608 spacious guest suites and rooms, four restaurants and three bars, the Innisbrook Golf Institute, 11 tennis courts, the new luxury Indaba Spa with 12 treatment rooms and state-of-the-art Fitness Center, six heated swimming pool complexes, a nature preserve, and three conference halls with 65,000 square feet of meeting space. 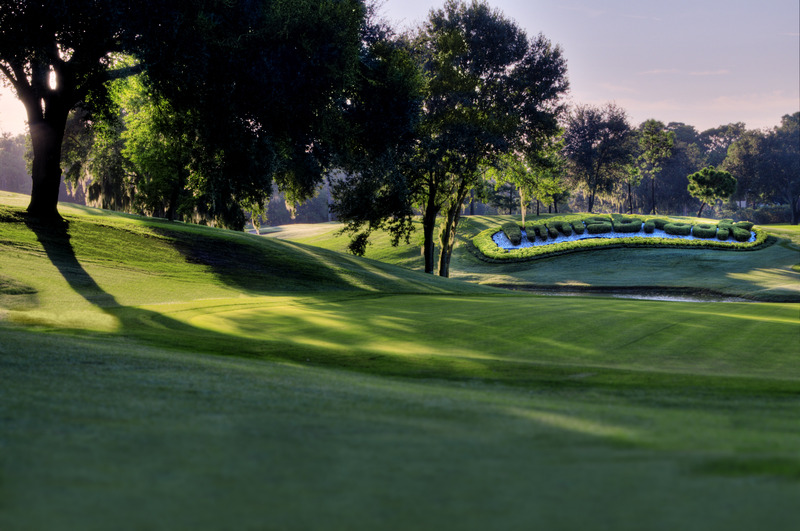 Part of Salamander’s Grand Golf Resorts of Florida portfolio, Innisbrook hosts an annual PGA TOUR event at its famed Copperhead Course, and the LPGA-supported ISPA Legends Tour Open Championship, held annually at the equally challenging Island Course. For additional information call 727.942.2000 or visit www.innisbrookgolfresort.com.